Fire TV Stick: It’s A Winner! 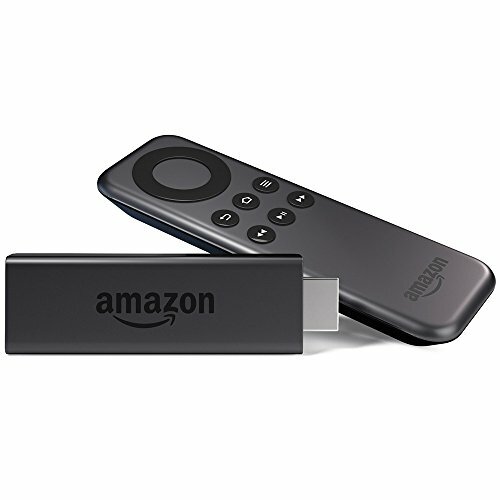 It’s your friendly KF on KND Editor April Hamilton here, to share my personal experience with the new Amazon Fire TV Stick. As a Prime member, I was able to pre-order up to two of this item for just $19, and now I only regret that I just bought the one. Set up was initially frustrating, I’ll admit. First of all, the battery compartment on the remote is very tight and it was initially difficult to open in order to install the included AAA batteries. But on the plus side, I guess that means there’s little risk of the cover easily popping off if the remote is dropped—a problem I’ve had with some other device remotes in the past. I plugged the stick into its provided HDMI extender (which the instructions say will improve WiFi reception) and attached the included power cord and adapter. As soon as I plugged the adapter into an outlet and selected the corresponding HDMI port on my TV remote, the Fire stick kicked off its startup routine. Note that some users have tried using their TV’s powered USB port (and had problems), but plugging into an actual electrical outlet is what Amazon recommends. First I was prompted to select my home WiFi network and enter the password. Then I got message on the TV screen that the stick was searching for updates and downloading a software update. Some users have wondered why a brand-new product should need a software update, and it’s because tech products are often assembled overseas while software refinement continues in another department. By the time the devices ship, the software is often much improved. Well, the update kept failing and giving me a message to unplug the power cord and try again in a few seconds. I did, three times, then gave up and started Googling for help. More than one consumer who was already successfully using the stick said that since everyone was just now beginning to receive them, it was probably a server overload problem: too many people trying to update their sticks at the same time. So the next morning I tried again, very early, and it worked! Linking to my Amazon account was automatic, all I had to do was confirm my account username. A little orientation video played and I was off to the races. 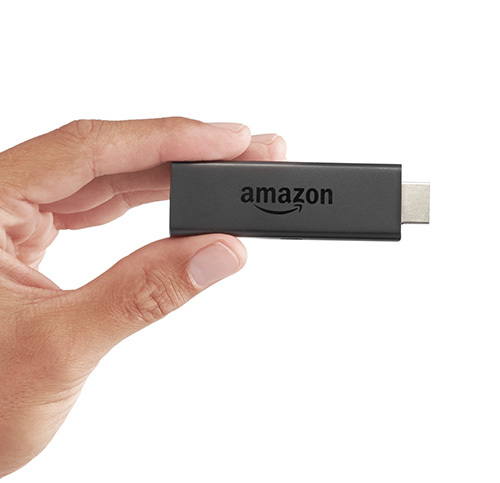 I mostly bought this to have easier, instant access to all the Amazon Instant Videos I own. I’ve been using a Roku, but it was kind of a bother having to switch to the right HDMI port, then navigate the Roku menus to get to Amazon Instant Video, then wait for my library to load, and finally use the Search function to find the exact video I wanted to watch. The Fire TV Stick description said this device would be on at all times so long as it’s plugged into a power outlet, so access to my Amazon digital stuff would be instantaneous. And it is! Some people have complained about the main menu “hiding” access to non-Amazon channels (e.g., Netflix, Hulu, etc.) under the “Apps” menu item, but this is not so different from how the Roku works. On that box, channels have to be added via their various apps too. In my case, I was really only interested in access to my Amazon stuff so having all those Amazon content links for Prime Video and my own Videos, TV Shows, Games, Apps, Photos and Music right on the main menu suits me fine! Music – As I sit here writing this, I’m streaming music from my Amazon digital music library through the Fire stick and playing it through my TV’s speakers. Just like on my Fire tablet, all my songs, artists, albums and playlists are there and ready to go! HDTVs generally have high-quality speakers so sound quality when you do this is very good. I’m sure it’s not quite the same as if I were playing my music through a dedicated stereo, but from where I sit it sounds pretty great. You can control playback (e.g., skip, replay, etc.) with the Stick remote. Better still, where lyrics are available for a given song they display onscreen and scroll in time to the music! You can sing along, or finally find out what that lyric you could never make out is saying. If lyrics aren’t available, the screen displays a picture of the artist (where available) or a generic concert crowd background. In any case, the artist and song name and album cover art are displayed in the lower left corner of the screen. There’s a Prime Music link off the main Music menu, and if you’re a Prime member you can access Prime Music songs, albums and playlists through this link. Photos – This link lets you browse and display images you have stored on Amazon’s Cloud. All Amazon customers get 5GB of storage free, and any photos you take with an Amazon device (e.g., Fire Phone, Fire tablet) are also free to store to the Cloud. Cool feature for sharing vacation photos and the like when friends or family come to visit. 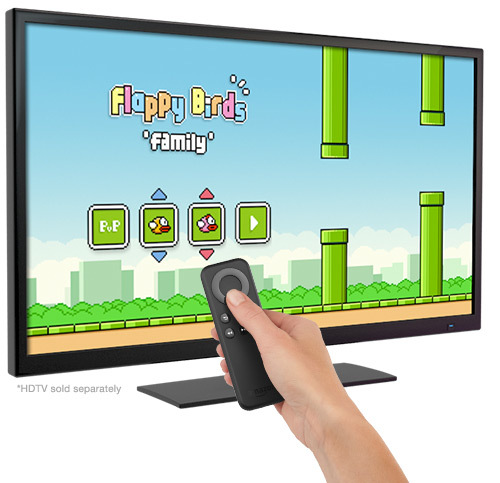 Games – Just like its big brother the Fire TV Box, this stick and remote support playing games on-screen. This isn’t a feature I was looking for or ever use on my Roku, which also supports games, so I don’t have any more to say about it here. However, since several customer reviews I’ve read have raved about the games feature you might want to check it out. Apps – This is the menu item to use for adding additional music and video streaming channels to the Fire stick. In the past I’ve felt that the lack of support for HBOGO was a dealbreaker because I used to use the HBOGO app on my Roku box all the time. Over the past several months though, I’ve used HBOGO less and less because the app seems pretty unstable. 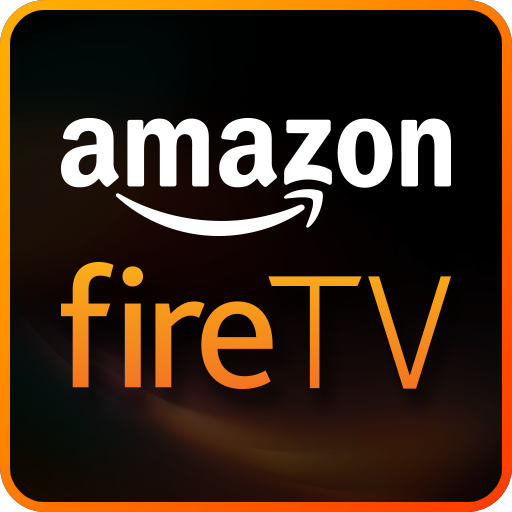 The Fire TV Mobile App Takes It To The Next Level! Here’s where the Fire TV Stick really blows my Roku 2 right out of the water. If you have a Fire tablet from 2013 or later, or a Fire Phone, you can get the free Amazon Fire TV Remote App. The app is also compatible with other Android devices and an iOS version is coming soon, but I can’t speak to them since I’m using the app with a 2013 Fire HDX tablet—and on THAT device, it works very well. Once you get the app, you can use its voice recognition feature to instantly look up the content you want just by speaking it into the microphone. So long as your TV is set to the HDMI port where the Fire TV Stick is plugged in and the TV is on, your search results will show up on the TV screen! Then you can use the Fire Stick remote to make your selection. The video will start to play on the TV and meanwhile, on your tablet or phone, the Video X-Ray details will display to show you which scene is currently playing and to provide links to biographies and filmographies of cast members featured in the current scene. For moviephiles, this is beyond cool! You can browse the Video X-Ray content without affecting playback on the TV, and you can control video playback (e.g., pause, stop, etc.) from your tablet/phone or the Fire Stick remote. Video playback has been rock-steady for me, with no buffering pauses, no problems with image quality and no lock-ups. Some customers have said they’ve experienced those problems when using the Fire Stick in a room other than where their WiFi router is located, but my Fire Stick is installed in a bedroom TV and even though my router is down the hall in the living room, I’ve had no such issues. Some have also said they were told the Stick may be incompatible with Samsung TVs manufactured prior to 2013; I can’t say if that’s so, but I’m using it on an Insignia HDTV I bought in 2012. You Can Move It From Room To Room / From TV to TV! After you’ve gone through the setup process, you can simply unplug the Fire TV Stick, take it and its power cord and adapter into another room and plug everything in to use with a different TV. You won’t have to repeat setup, the Stick will detect your WiFi network and work just the same as on the TV where you initially set it up. As I said, I wish I’d ordered two at the $19 promo price while I had the chance simply because I don’t want to bother with moving the one from room to room. But knowing what I know about the Fire TV Stick now, I may just have to buy another at the regular price of $39! 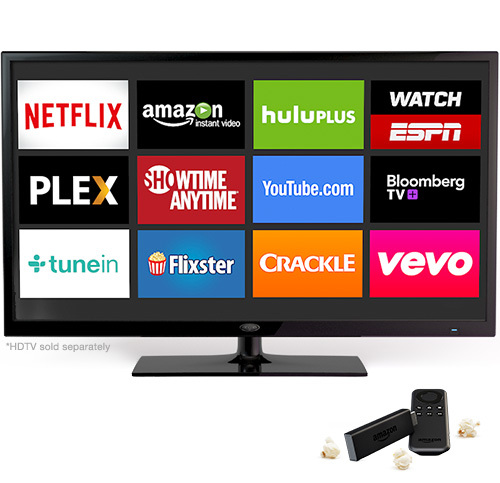 Bottom line: If you own or use a lot of Amazon digital content (e.g., Prime Videos, Prime Music, your own digital library) and own a Fire Phone or 2013 or later Fire tablet, DO NOT HESITATE TO GET A FIRE TV STICK! Initial set up may be a bit clunky, but once you get past that stage you will find yourself using this thing on a daily basis! The post Fire TV Stick: It’s A Winner! appeared first on Kindle Fire on Kindle Nation Daily.